Quote Reply Topic: Can Lizards get ticks? Just wondering if Common Lizards can be bitten by ticks? The Common Lizard in this picture seems to have something behind its front leg and I am not really sure of what else it could be. It was in Scotland so there would have been plenty of ticks around. Yeap, they certainly can. 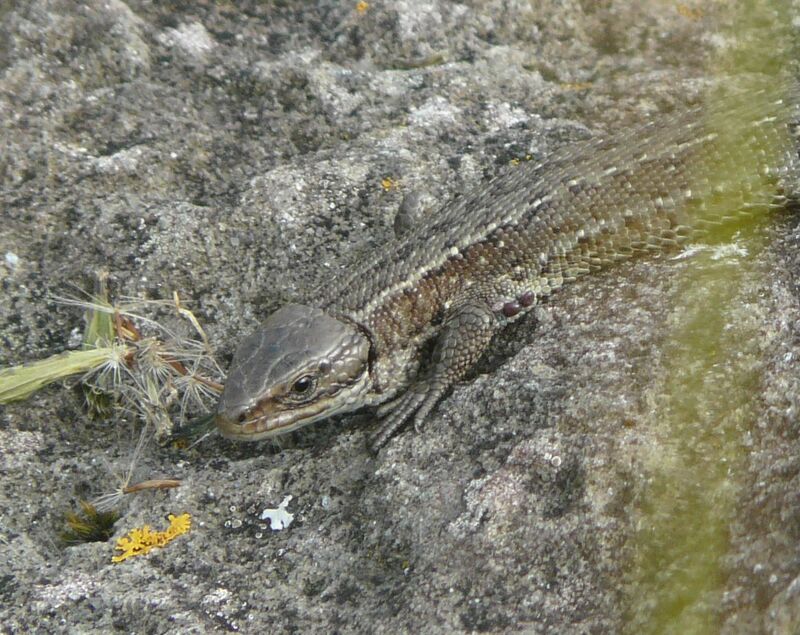 We see them a lot on Common Lizards and Sand Lizards down here, especially when there are deer around. Certainly these appear to be fairly typical ticks. I've noticed that the ticks nearly always seem to be in that position, just behind the front legs. I wonder why. Is it the warmest part of the body? I should imagine it is simply that this is the main position which combines relatively soft scalation with the inability of the lizard to remove them. If a tick attached further back on the body the lizard would simply turn round and nibble it off!! Certainly seen them doing this with mites. Interesting - that certainly makes sense. I suppose it's also the position in which the ticks are most sheltered from being snagged as the lizard moves through vegetation. I don't remember seeing them on snakes. Have you? Could be because they'd be forced off as the snake went through thick stalks and roots. I've seen ticks on grass snakes that were otherwise debilitated or poorly. I'm guessing perhaps a healthy snake which regularly sloughs would be fairly tick free, whereas one in very poor condition may not be sloughing. without wishing to state the obvious, its worth bearing in mind that humans can get ticks too. and that they carry a nasty disease (Lyme's). a mate of mine (a deer stalker) has got it. he diagnosed himself by researching his symptoms on the net and then having it confirmed by his GP. from what hes told me, its pretty nasty and very debilitating, so beware herpers! Certainly worth 'de-ticking' after being in bracken for the day. I've had a few!